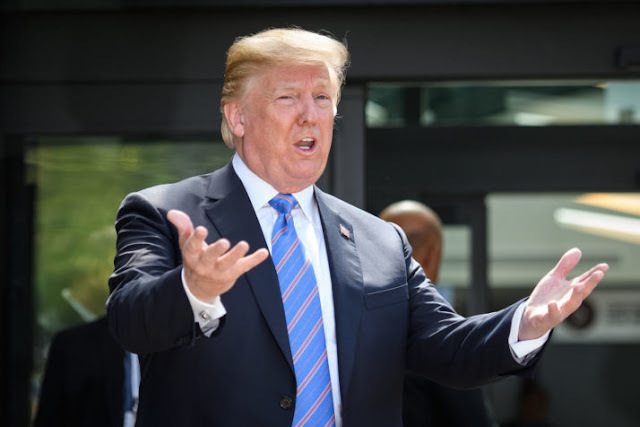 President Donald Trump looks forward to his visit with British Prime Minister Theresa May on July 13 amid the resignations of Foreign Secretary Boris Johnson and Secretary of State for Brexit David Davis, the White House said Monday. "The President continues to look forward to his working visit with the Prime Minister on July 13, and further strengthening the US-UK special relationship," White House Spokesperson Sarah Sanders said to reporters. Despite Davis' hope for May to stay as Prime Minister, Johnson's resignation has made the Prime Minister's post more fragile than before.